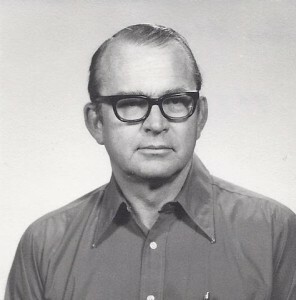 Leslie G. Brauer was born in 1924. He grew up in Lakewood, Ohio and graduated from Castle Heights Military Academy in Lebanon, Tennessee before heading to Oklahoma and OU in 1941 to study architecture under Henry Kamphoefner and, later, Bruce Goff. He received his Engineering degree in 1945, served in the Navy, then returned to OU to earn his Architecture degree a few years later. Upon graduation, Brauer worked for acclaimed architect, Paul Harris, who had offices in Chickasha and Lawton, but he couldn’t wait to go out on his own, which is exactly what the young architect did once he received his license in 1954. He remained in Chickasha and designed most of that town’s modern architecture until his untimely death in 1980.